Over the next few days, I’m going to share some of our other travel tips. Today, I’m going to highlight apps for your smart phone or tablet that will help you enjoy and chronicle your family road trip. And even though I have an iPhone, I don’t assume the rest of the world does too so all of these apps are available for Androids as well and many of them on additional platforms. They are also all FREE because traveling, especially as a family, is expensive enough! 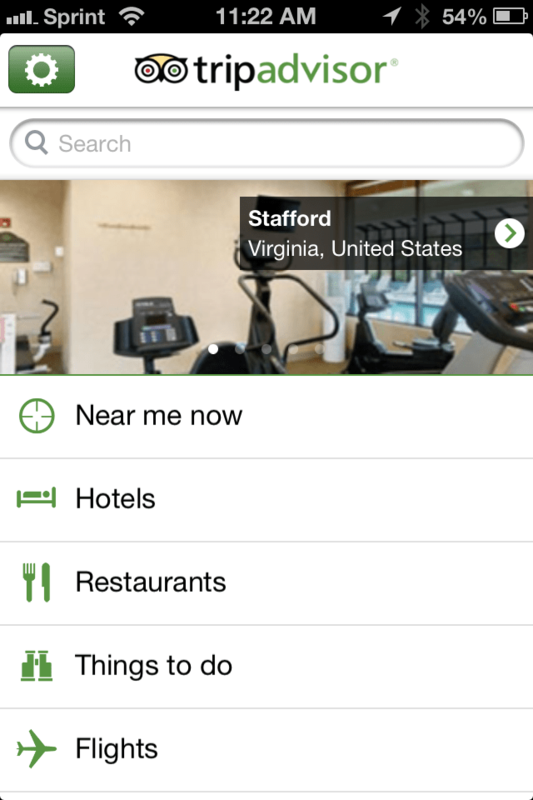 Trip Advisor helps you find hotels, restaurants, and attractions almost anywhere. You can read reviews from other travelers and view pictures. It’s available for both Apple devices and Androids for FREE. Want even more information about what businesses are nearby? 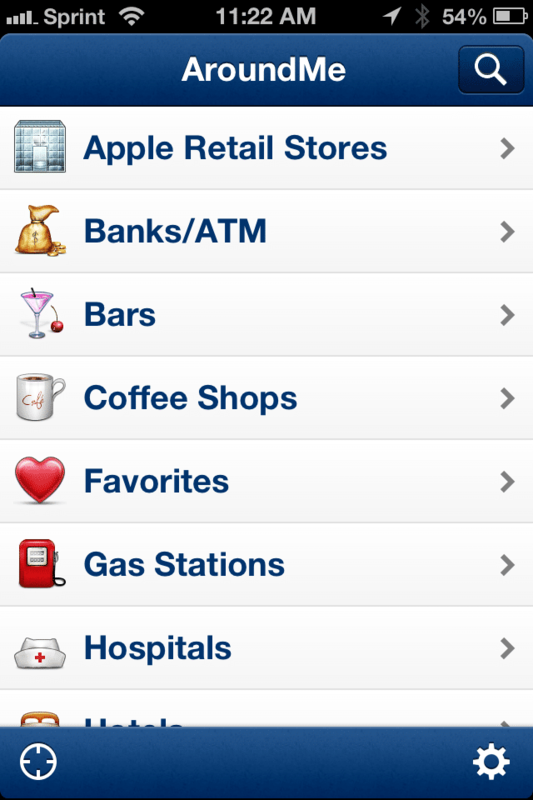 Download the Around Me app to find banks & ATMS, hospitals, movie theaters, parking, and more. Available for FREE for iPhones, iPad, Android, and Windows Phone. 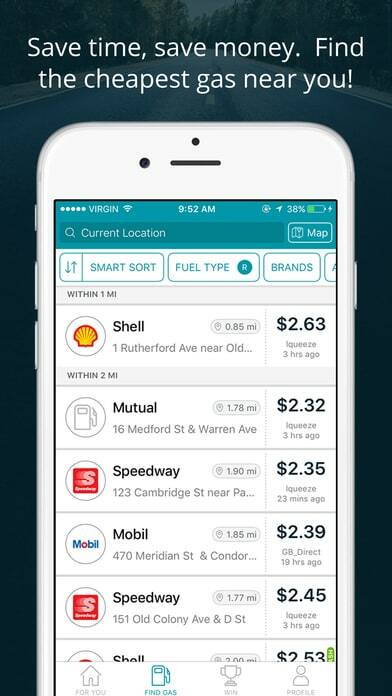 With Gas Buddy, you can easily find the least expensive gas near you. And because they know you’re thrifty, this app is FREE. Find it in the App Store, Google Play, Windows Phone, and BlackBerry App World. Forgot to download the book to your Nook or Kindle before you set out on the trip? Need to get some work done on the road? 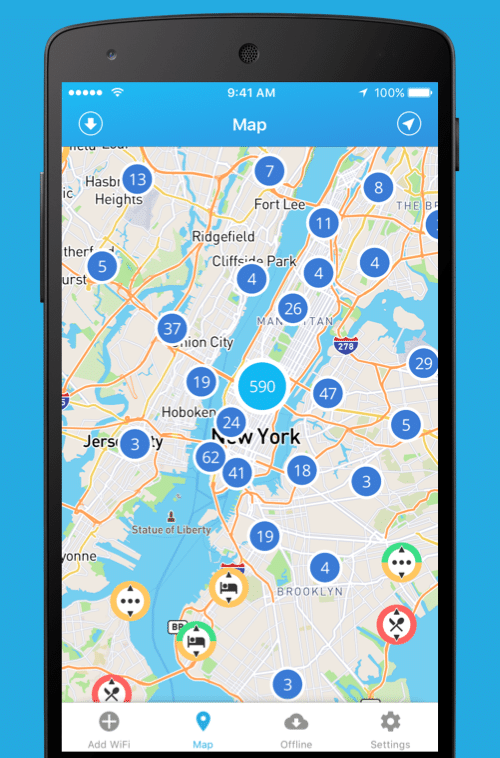 Wi-Fi Finder will help you find the closest wi-fi hotspots near you and will let you know which ones are free and which are paid so you don’t have to waste time (and gas—since we know you just scored a deal on it using Gas Buddy) driving around trying to find one. Get it for FREE at the App Store or Google Play. This is a great app for the traveler who likes to get out of the car and explore. Don’t be fooled by the name though. 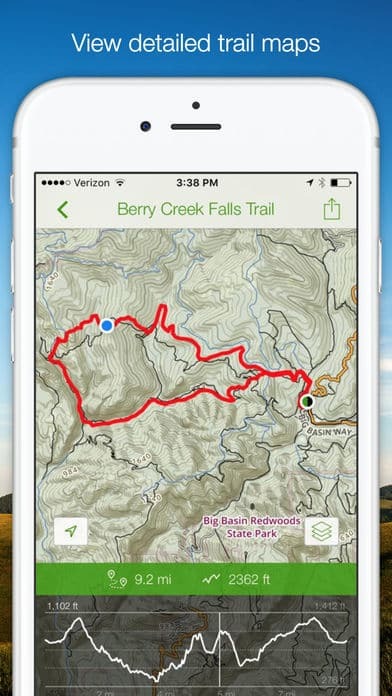 You can do a lot more with AllTrails than find great hiking trails. You can create an interactive map as you move along (via walking, biking, driving, sailing, etc.) and plot pictures, videos, and comments along the way. You can also share the adventure with your friends via Facebook, Twitter, and the app. You can download the app to your iPhone or Android for FREE. These apps have saved me a lot of aggravation during road trips. I hope you find them helpful as well. Please share your experiences with them in the comments if you have used any of them. 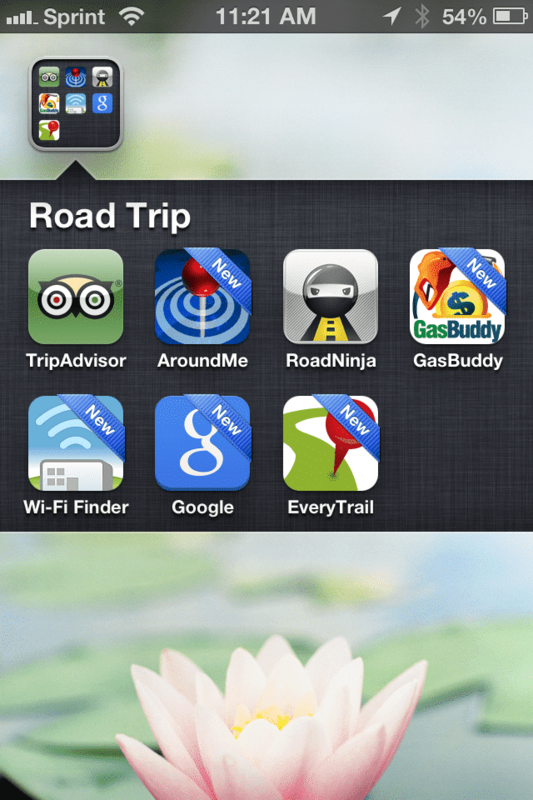 Also, please let me know if you have a favorite app for road trips that I didn’t include here. Those do sound like really helpful apps when on the road. Thank you for sharing! I use the gas buddy even if I’m not traveling. We live out/country from town and so I look for the best gas prices when we go in to town. Gotta save where ya can. These are great tips! I love technology and all its advances, it does make a huge difference in traveling.